The polling on Azamgarh is slated in phase-6 on May 12 and the nominations commence on April 16. 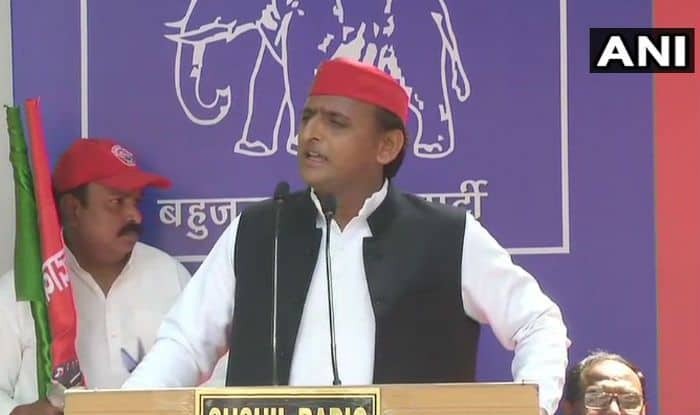 Azamgarh: Samajwadi Party president and former UP Chief Minister Akhilesh Yadav will file his nomination papers from Azamgarh constituency on April 18. Before filing his nominations, Akhilesh is slated to hold road show along with senior leaders of the Mahagathbandhan (grand-alliance). After the nominations, the grand alliance will hold a rally at Bithauli, SP sources confirmed here on Sunday. The polling on Azamgarh is slated in phase-6 on May 12 and the nominations commence on April 16. For the third time, Akhilesh has changed his constituency left by his father Mulayam Singh Yadav after Kannauj and Ferozabad. This time the sitting Azamgarh MP Mulayam Singh Yadav shifted to his traditional family seat of Mainpuri. In 2014 Mulayam had won by over 1.60 lakh votes defeating BJP’s Ramakant Yadav, who in this election has joined the Congress and is contesting from Bhadoi seat. Akhilesh is pitted in a direct contest with Bhojpuri actor and BJP candidate Dinesh Lal Yadav alias Niruaha.